HRD minister Prakash Javadekar says government working towards revising textbooks to include more on the ‘black period’. 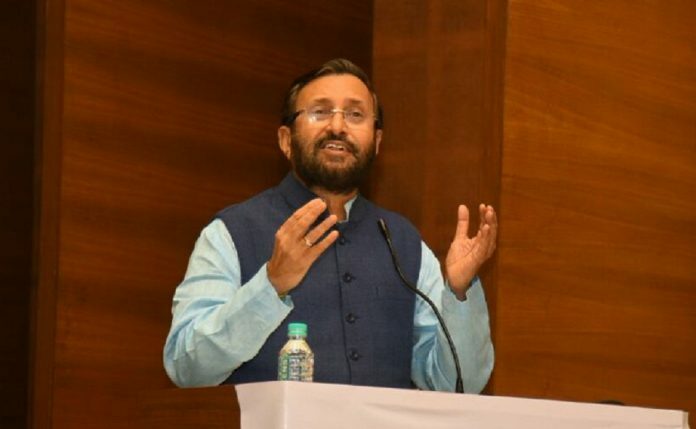 Bengaluru: Human resource development minister Prakash Javadekar announced Monday that school textbooks will be revised to include more content on the Emergency. Calling the Emergency a “black period” and a “festival of struggle”, Javadekar said the HRD ministry will be working with the National Council for Educational Research and Training (NCERT) to update school textbooks. “In our textbooks there are some chapters and columns on the Emergency that will be reviewed and this black chapter and assault on democracy of the country will figure some more in the books to aware the new generation. We will definitely work for this,” he said. Javadekar’s comments came on the 43rd anniversary of the Emergency, imposed in 1975 by then prime minister Indira Gandhi. It is unclear when these changes will be introduced in the NCERT textbooks. Earlier this year, the Class XII political science textbooks were in the news after the words “anti-Muslim riots in Gujarat”, referring to the 2002 incident, were changed to just “Gujarat riots”. In 2007, the United Progressive Alliance (UPA) government introduced the chapter on the Emergency for the first time, along with segments on the 2002 Gujarat riots, the Ayodhya dispute and the 1984 anti-Sikh riots. Chapter 6 of the Class XII NCERT textbook of political science, titled Crisis of the Constitutional Order, has a section on the Emergency. It covers the context in which the Emergency was imposed, the constitutional and extra-constitutional dimensions of the imposition, the resistance movement and the formation of the Janata Party government after the 1977 elections. The chapter, over 20 pages long, focuses on the necessity of the Emergency and the lessons to be learnt from it. Filled with illustrations, newspaper clippings and cartoons, the chapter also urges students to talk to their parents and grandparents about their experiences during the period. “The makers of India’s Constitution trusted that all political parties would basically abide by the democratic norm. Even during the emergency, when the government would use extraordinary powers, its use would be within the norms of the rule of law. This expectation led to the wide and open ended powers given to the government in times of emergency. These were abused during the Emergency. This political crisis was more serious than the constitutional crisis,” the chapter concludes.